By Catherine Shakdam. January 2, 2016. Edited/photos added by Alistair Reign. Following months of a merciless Saudi Arabia-led military campaign against its own land and people, Yemen stands at the very edge of an apocalyptic humanitarian crisis, an institutional and economic black hole, and an open wound on the map of Southern Arabia. [Insert] The continued aggression of Saudi Arabia against civilians in Yemen and the use of cluster munitions in violation of the UN Convention highlight the relations among human rights, arms control, and conflict resolution through good-faith negotiations. After a very short humanitarian ceasefire and proposed negotiations in Geneva aborted, the geopolitical situation in and around Yemen is largely unchanged. June 8, 2015. (Photo/ credit: Citizens For Global Solutions). Exhausted by war and abandoned by those powers which claim to represent the so-called “free world” Yemen is cracking under the pressure of neo-imperialism, a lamb earmarked for slaughter on the pyre of Wahhabi Saudi Arabia – the designated hengemen of the United States of America in the Middle East. Of Yemen’s 29 million people, over 20 million now require immediate humanitarian assistance. [In less than one year] Over one-million children have (been) registered by UNICEF as chronically malnourished, and millions have been left destitute by war. The United States of America has over the past decades become a grand master of deception – the promoter and instigator of abject violence in the name of neo-imperialism and its sister in arms, capitalism. To better carve itself an empire and assert its hegemonic ambitions, the USA has exploited its regional alliances in the Middle East, calling on its vassal states: Saudi Arabia and the GCC countries to play by its rule and to its tune. Whether directly or indirectly, Washington has had a hand in the demise of Yemen and its people, slowly engineering this poorest country’s sectarian remapping, while advocating democracy-building and the war on terror. Just like in Syria, Iraq, Bahrain and Libya, Yemen has been selected for socio-political and ethno-sectarian engineering. 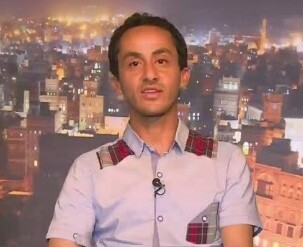 Hussain Al Bukhaiti, a pro-Houthi activist. (Photo: CNN). 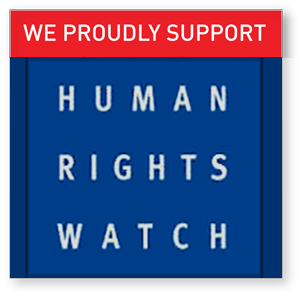 While USA officials continue to school the international community on democracy and international law, advocating political self-determination and civil liberties as the foundations of modern civil states, Washington has sold Saudi Arabia billions of dollars worth of weapons, in the knowledge its bombs, warplanes and other weaponry would be indiscriminately used against civilian populations in Yemen. 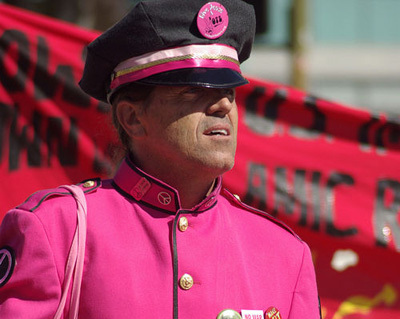 Barry Tighe, Codepink. (Photo: CP). The USA has also turned a blind eye to Saudi Arabia’s humanitarian blocks on Yemen. Putting 26 million souls at risk of starvation, disease and abject misery. In the face of international law, and in negation of all human rights conventions and treaties, USA has quietly condoned the massacre of an entire people, while watching from afar as schools, hospitals, residential areas and charitable organizations have burned under Saudi fire. 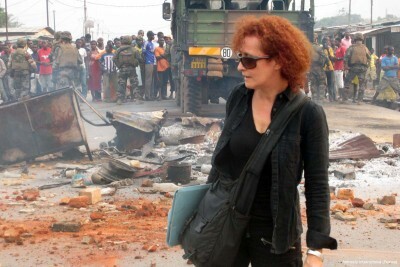 Donatella Rovera, Amnesty International’s senior crisis response adviser. (Photo: AI). “International humanitarian law is clear that belligerents must take all possible steps to prevent or minimize civilian casualties. But the cases we have analyzed point to a pattern of attacks destroying civilian homes and resulting in scores of civilian deaths and injuries. 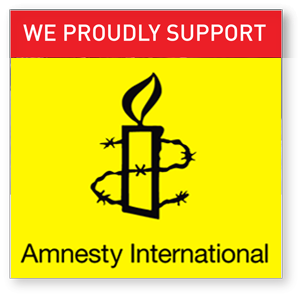 There is no indication that the Saudi Arabia-led military coalition has done anything to prevent and redress such violations,” said Donatella Rovera, Senior Crisis Response Advisor at Amnesty International. More troubling still the USA has provided Saudi Arabia with illegal weapons of war. Signing off for the sale of cluster bombs and white phosphorus. By 2015, the Obama administration sold weapons to Saudi Arabia worth $46 billion. Some sources have estimated this figure to be closer to $60 billion. Over 4000 civilians – mainly women and children have died in Yemen, killed by weapons made in the USA, tens of thousands have been injured, and hundred of thousands have been displaced. 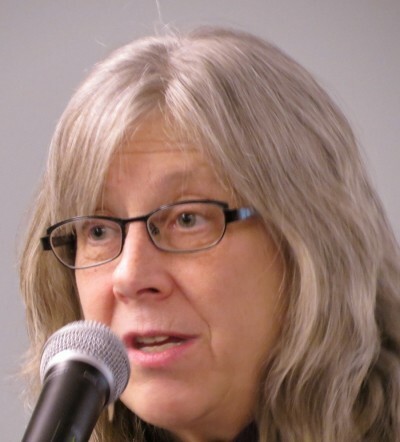 Leah Bolger, US Navy veteran, and president of Veterans For Peace. (Photo: AFSC). But Yemen is fighting back! For all the lead Saudi Arabia has rained on this impoverished nation, men and women have risen to oppose tyranny; determined to reclaim their lands and their traditions from the radical and reactionary ideology of Wahhabism. As the Resistance movement, under the banner of the Houthis continues to bravely push back the Saudi-led coalition, forcing foreign mercenaries to retreat before their advances, civilians have organized their own movement – one which stands against engineered poverty. 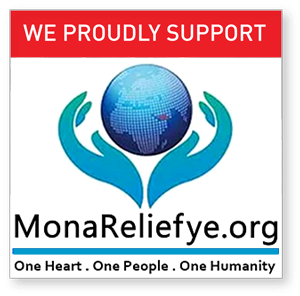 Led in Yemen by Fatik Al Rodaini, the Mona Relief organization has run Saudi Arabia’s blockade, distributing humanitarian aid in those areas the kingdom purposely locked out in the name of sectarianism. Several millions of Yemen’s poorest and most vulnerable have been profiled by Riyadh, condemned to starve and wither away for their faith does not meet Wahhabis’ religious seal of approval. Those are the stories mainstream media has refused to run as they paint a reality the public will unlikely tolerate. Ostracized by imperial Saudi Arabia for they dared remain true to their traditions. The Zaidis (Shia Muslims) of Yemen are fighting for more than just their land. They are fighting for their spiritual survival. No longer just another power-hungry colonial power, Saudi Arabia has become a genocidal monster, a force which intends to annihilate Shia Islam by systematically targeting its people, exploiting its political alliances, and immense wealth for cover. Over the past months the Mona Relief organization, Yemen’s very own blockade runners have successfully distributed over 1.7 million meals to families across Yemen. 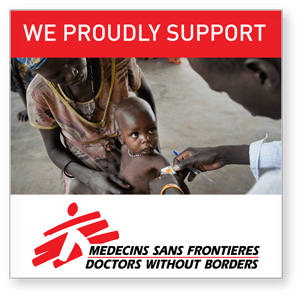 Despite the many threats of retaliations made against them, those dedicated activists have braved the odds, risking their lives to provide relief to those most vulnerable. Yemen is indeed fighting many fronts, not least of all hunger and destitution. At such a time when even the United Nations has bowed to Saudi Arabia in exchange for its financial largess – Yemenis face famine and death – all of which could be avoided if only the international community would care to abide by the rule of (International) law. While UN agencies and other NGO’s give in to greed, there are still many of those which have not. Everyday men and women fight to give Yemen’s sons and daughters hope; relentless in their belief that before tyranny one should never bow – not without becoming that very evil they despise. And so Yemen’s blockade runners will continue to defy Saudi Arabia’s embargo on their own people… and they will do this until poverty is defeated, and all Yemenis are given the opportunity of a better life. First appeared in American Herald Tribune on 11/12/2015: Yemen’s blockade runners: How Yemenis are fighting imperialism.